I was asked last Sunday to put together a children's bell choir for our ward Christmas party. So I've been busy creating some handbell charts to some secular and religious Christmas songs. 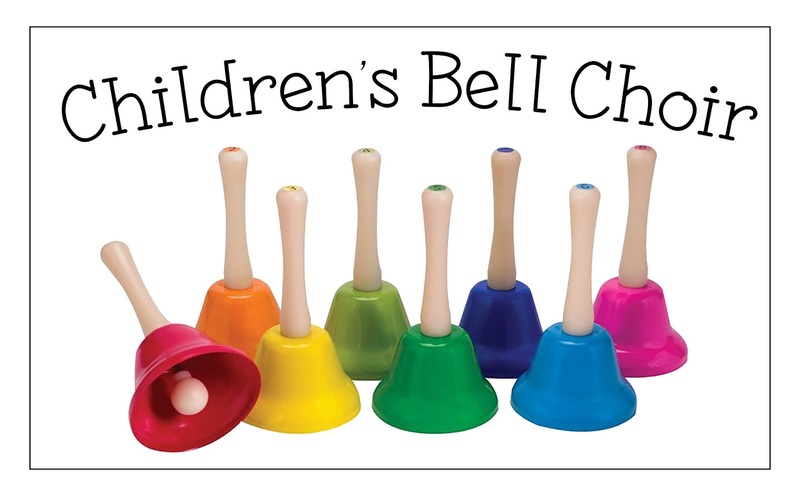 I've never done a bell choir with multiple songs so I haven't quite worked out logistics of having the kids use the various bells needed for each song - so we'll see how it goes. I have decided to only have the Sr. primary (8 years and older) play in the choir (but for singing time, Jr. primary will be playing all these songs). If you have more suggestions, I'd love to hear!! If you want other Christmas singing time ideas, make sure to scroll through all of my posts HERE! I wrote up little introductions to each song HERE that I'll have 6 older kids read before we play each song. As they read, the bell choir will be swapping out handbells to the ones that are to be used for that particular song. I have a Using Handbells in Primary post HERE that can help you get started with handbells if you need (where to buy them, how to use them, etc.). I also have a Make-Your-Own Handbell Chart post HERE in case you want to make charts for songs that I don't have. 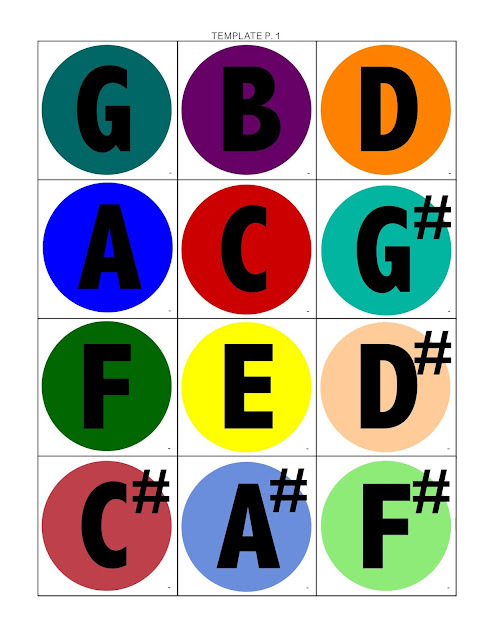 Then I have a How-To post for using Chord Charts for Handbells HERE that provides a little more in-depth information on using chording with the bells and how to make your own charts using chords. 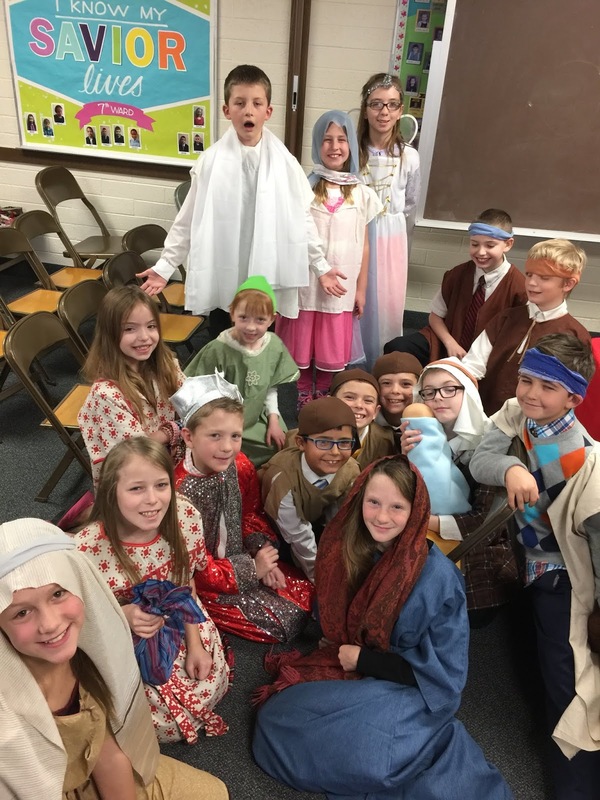 Jr. primary will also remain on the stage when we sing Samuel Tells of the Baby Jesus. My bell chart is only for the chorus so I will have all the primary sing the verses. Then on the chorus, Jr. primary will sing while Sr. plays the handbells (I will work on learning the words to the chorus in Jr. primary over the next 2 Sundays). I'll make sure to post the words like I do HERE and have a primary presidency member help lead singing with her own music stand. After that song is finished, the little kids can sit back down with their families. No singing on Carol of the Bells, only bells and the piano. Then I asked the activity day girls if they would sing Mary's Lullaby. So those girls will step forward to sing, again being directed by a primary presidency member who will have the words posted. For Christmas Bells, the congregation will join in maybe after we've performed it once. Again, I'll ask a primary presidency member to help lead the singing and post the words. It prints as a 42x26 inch poster. You can download it HERE. If I get really ambitious, I'll add some Christmas greenery. I may pass off decorating the stage to the primary presidency ;). Bell charts will either hang off the back of my music stand or I'll put them on the magnetic white board that will be on the gym floor, in front of the stage - still thinking this one through. It's kind of a lot of moving parts but we'll see how we do over the next few weeks in primary. 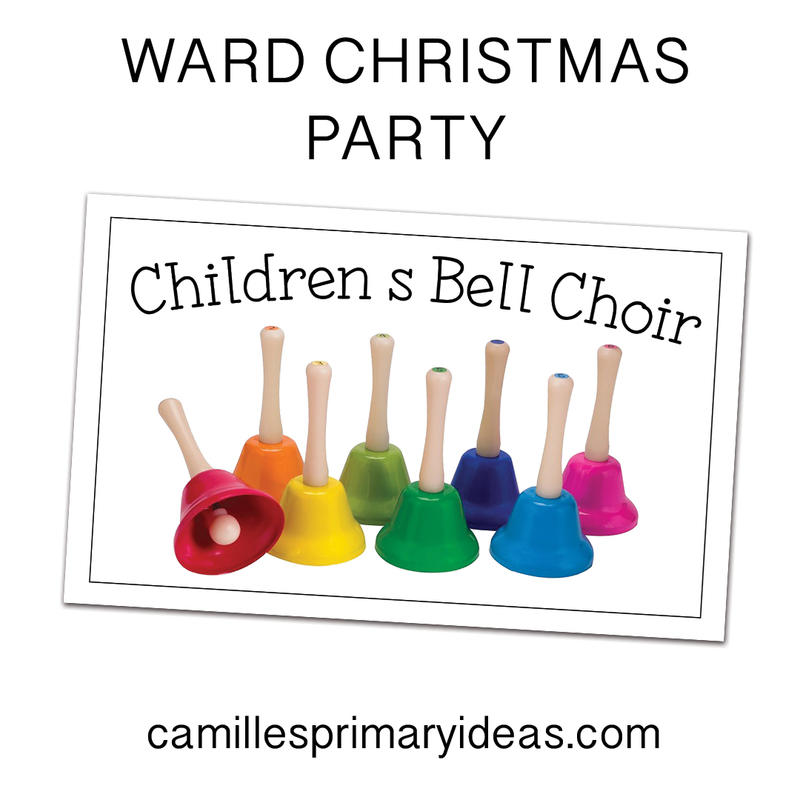 Another entertainment idea for a ward Christmas party is A Primary-Christmas-Song Nativity. Details can be found HERE. It also makes for a great singing time the Sunday before Christmas. Thanks for the great help you're giving us. Where did you get the "Carol of the Bells" piano music that goes with your Bell Chart for that song? That would be awesome! !